Securex is an automatic pressure controlled ventilation damper that has been designed to dissipate excess internal pressures. Simple locking - In the closed position the lid is locked closed by a stainless steel bolt and two spring pins which are designed to release the lid at a pressure of 16 mbar or above. Base - The base and flange are manufactured out of high-quality aluminium alloy (EN AW-3005 H14). The flange can be adapted to the requirements of the installation. 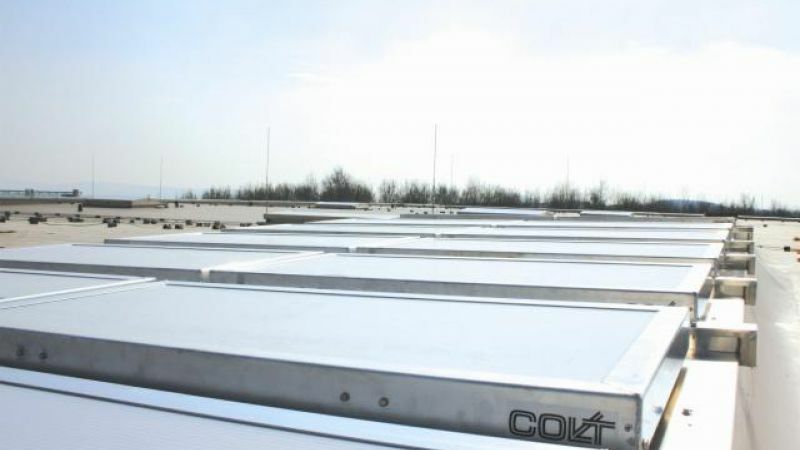 Lid - The lid consists of an all-round extrusion made from aluminium alloy into which is fitted a clear or opaque polycarbonate panel which can be either 10 or 16 mm thick. The lid is fastened with stainless steel hinges to the base. Arresting ropes - Elastic polyamide ropes arrest the opening movement of the lid so as to avoid it damaging the unit when it opens. Once a visual check for damage has been carried out, the unit can be closed manually and then it is fully functioning once again. 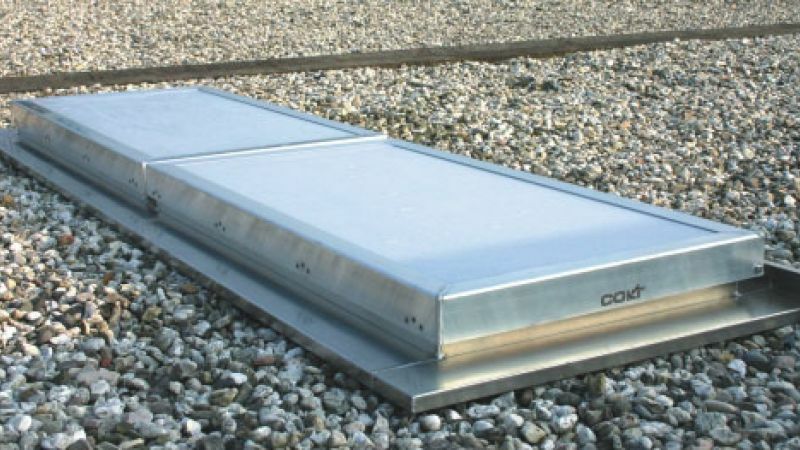 Easy to install - Securex ventilators can be installed onto flat roofs, into walls or onto sloping surfaces from the horizontal to the vertical. If the ventilator is to be assembled onto steel frames the flange can be prefabricated. The design of the unit makes for a trouble-free installation. Durable - Securex is manufactured from tough, corrosion resistant aluminium alloy, with stainless steel fixings.